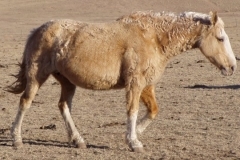 Daisy, born in 2002, inherited her father’s size and curls. 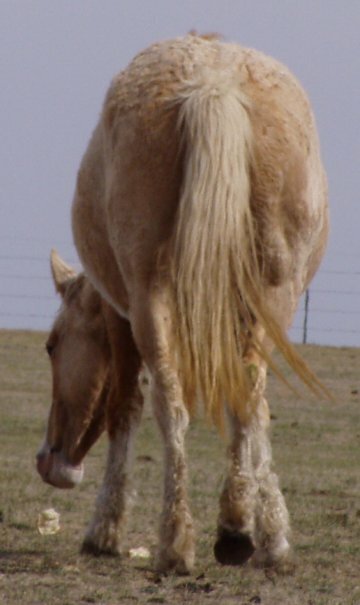 A cremello and gold sabino, Daisy also has a uniquely dark-gold left shoulder and leg with a white streak on her belly. 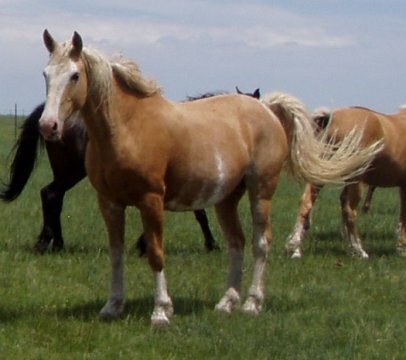 At 16 hands, Daisy stands out in a crowd. 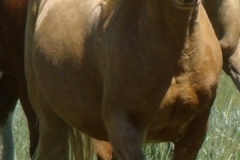 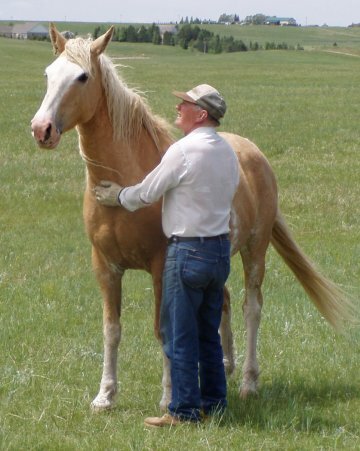 Having been well halter trained, Daisy still accepts a halter and remembers her manners on a rope even after primarily running as a broodmare since her kindergarten training as a yearling. 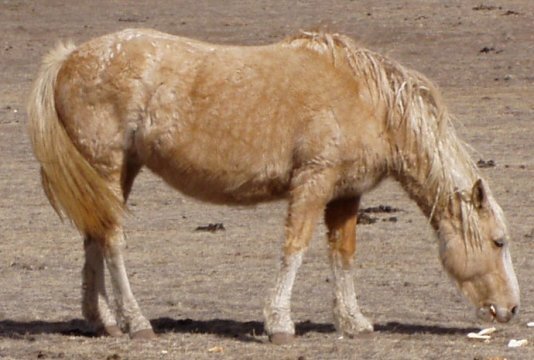 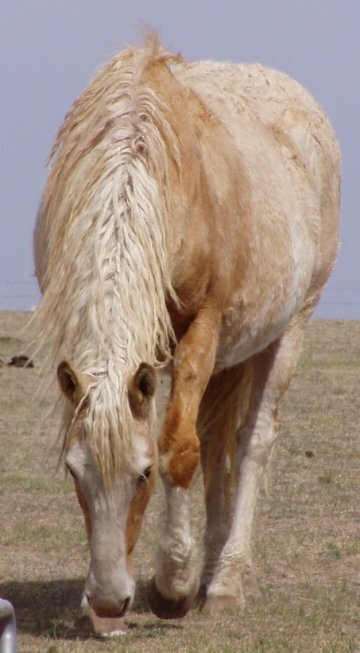 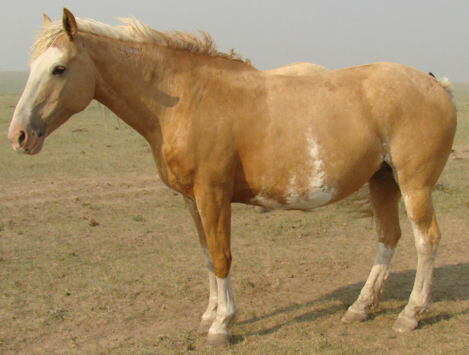 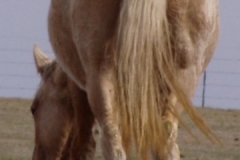 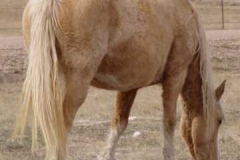 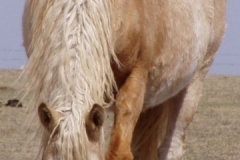 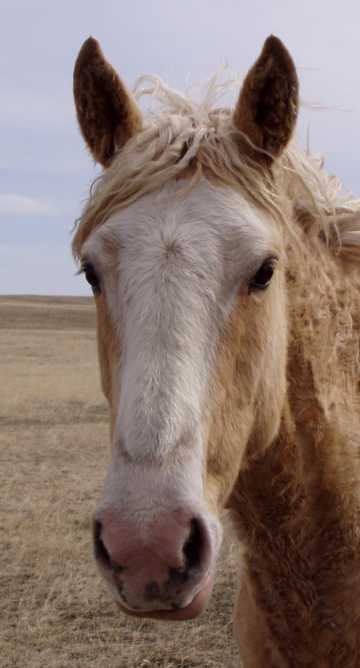 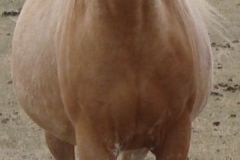 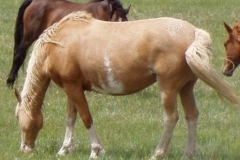 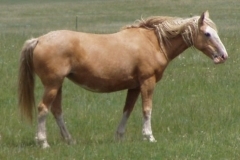 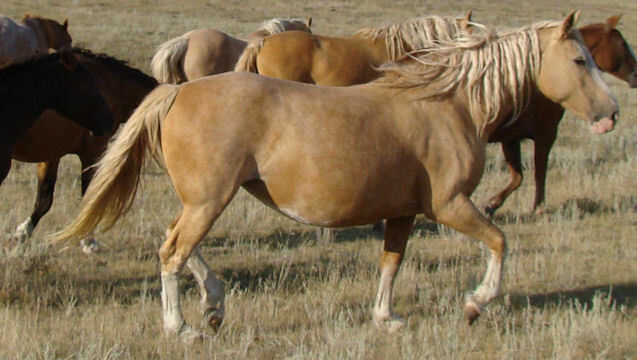 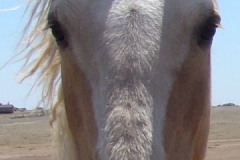 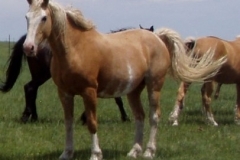 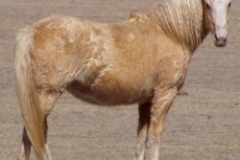 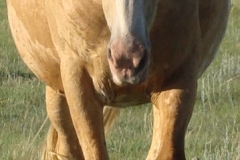 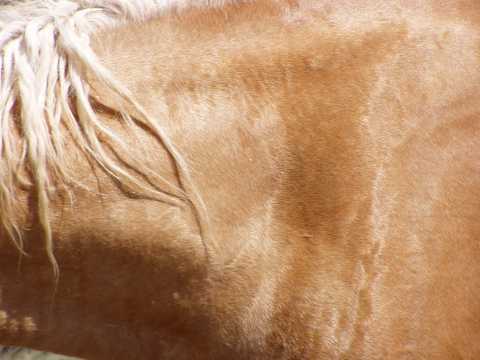 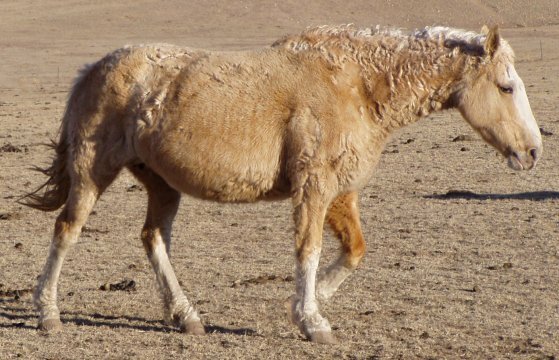 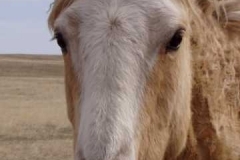 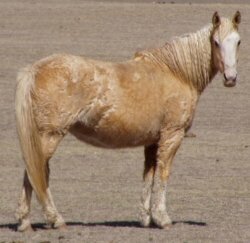 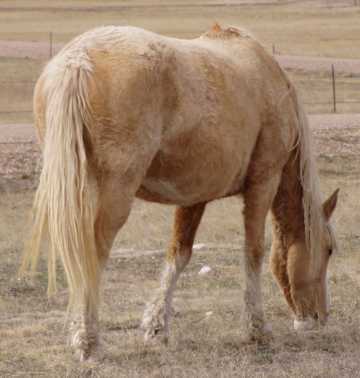 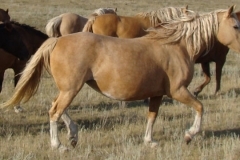 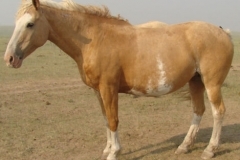 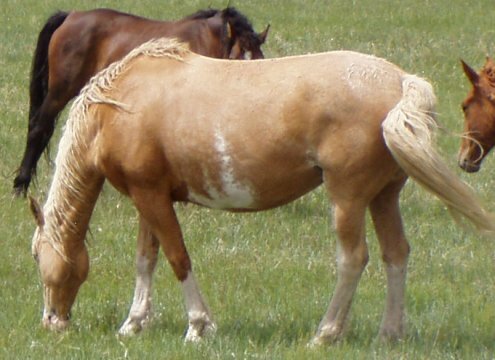 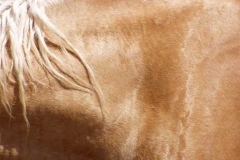 Her foals have been sorrel, white/cremello, bay/dark-buckskin and palomino. 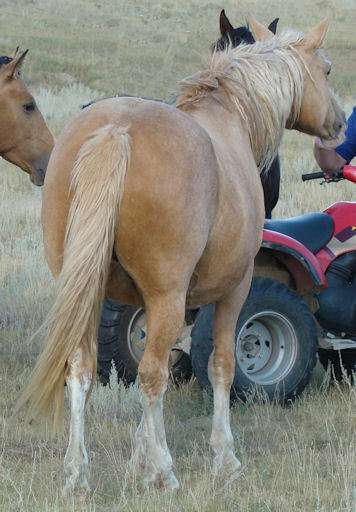 In the summer of 2006, Daisy gave her first ride to a 9-year-old and while confused tolerated the “indignity” with grace and aplomb.